Парка курточка Gelert мужская, размер 48 за 1680 грн. Купить в Украине. Выгодные цены на Zakupka.com. ID: 516518595. 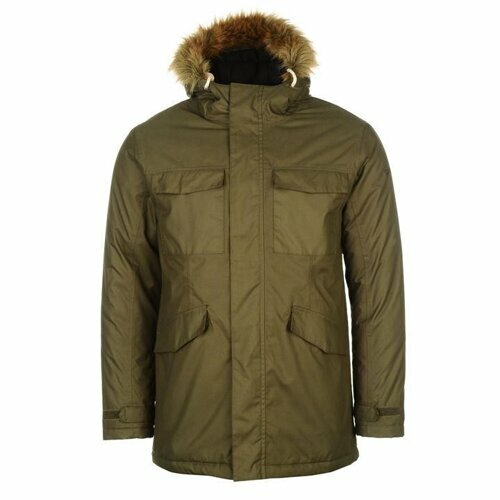 Enjoy warmth in style in the Gelert Siberian Parka Jacket, crafted with a full zip fastening with touch and close fastening over placket and chin guard, full hood with drawstring adjuster and faux fur trim, full length sleeves and four popper fastening pockets, two the chest. Storm. Lite 5000 technology brings waterproofing and breathability with ratings of 5K. Printed Gelert branding to one sleeve completes the look. Отзывы о компании ООО "АРМАПОСТАЧ"